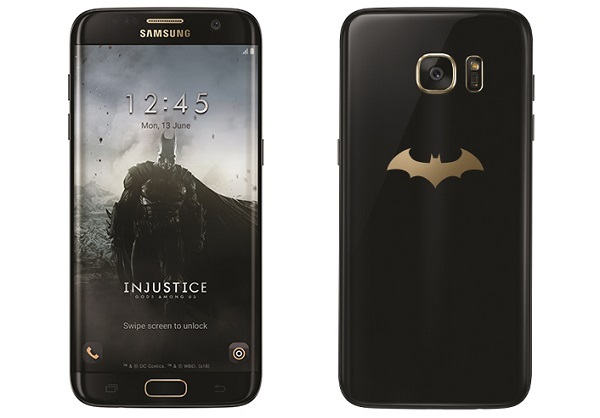 SAMSUNG launches Batman-themed Galaxy S7 edge Injustice Edition. Samsung Electronics today announced the Galaxy S7 edge Injustice Edition in collaboration with Warner Bros. Interactive Entertainment and DC Entertainment. To commemorate the third anniversary of the popular mobile game, Injustice: Gods Among Us, the companies came together to bring Samsung's technology and one of the game's central characters, Batman, in a sleek, high-performance smartphone. The Injustice: Gods Among Us game is also available as a free download on Google Play Store.